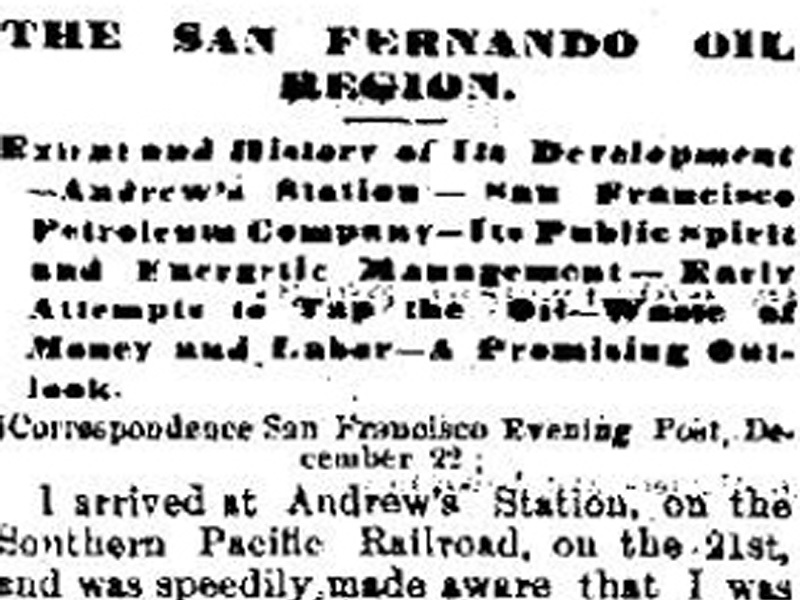 SCVHistory.com | Newhall | Description of Newhall Town & Pico Oil Equipment, 9-26-1882. Description of Newhall Town & Pico Oil Equipment. Earliest Known Mention of "Mentryville." Los Angeles Times | Tuesday, September 26, 1882. A Flourishing Town with a Future Before It — Lines of Business. 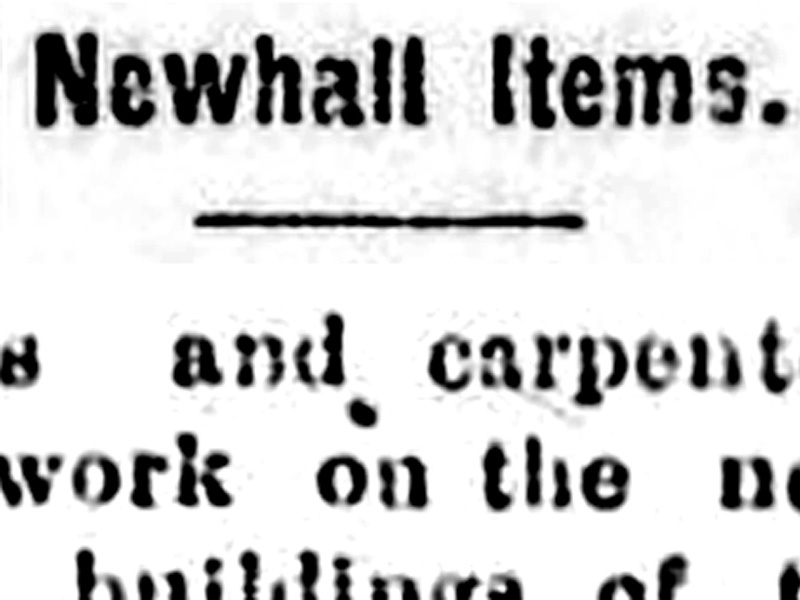 Newhall, Sept. 23, 1882. — The business prospects of our pleasently [sic] situated little town were never better than at present. Newhall is destined at no distant day to be an important business center. The developments in the oil country continue very favorable, and lumber and machinery are being received here daily. A large warehouse is being erected near the depot by the oil company for the storage of oil and machinery. 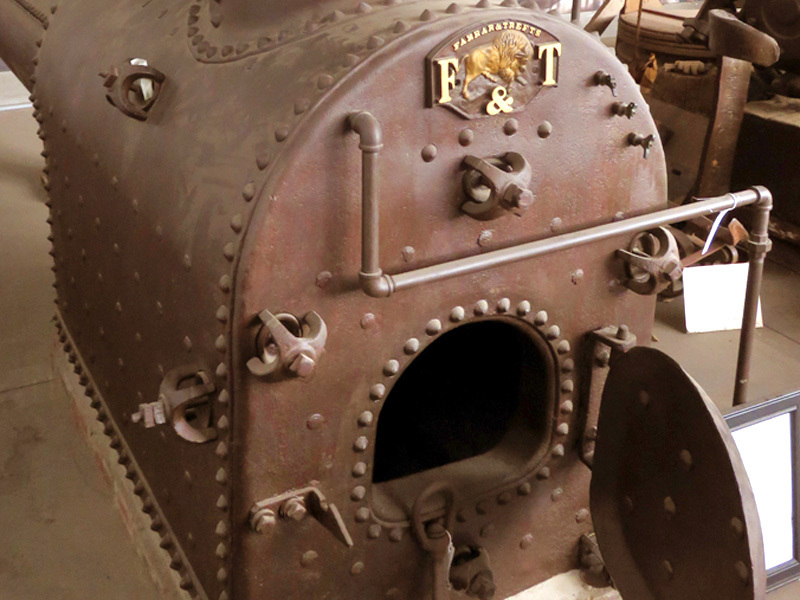 Four new boilers weighing 5,000 pounds each are lying at the depot awaiting transportation to the wells seven miles distant. A new line of pipe has been laid from Santa Clara river to the wells for conveying water, and a pump weighing 7,500 pounds placed at the river to force the water up to the wells some 1,600 feet in elevation above the river. Five miles distant a new town has been laid out at the oil works called Mentryville, and five dwelling houses are already erected. The prospect of the Coast Railroad forming a junction with the S.P.R.R. at this place is good, as this is the nearest point that can be reached. The following large companies are now operating in this vicinity: Pacific Coast Oil Company, California Star Oil Company, Pennsylvania Oil Company, and Palomas Placer Mining Company — the latter a hydraulic mining company. 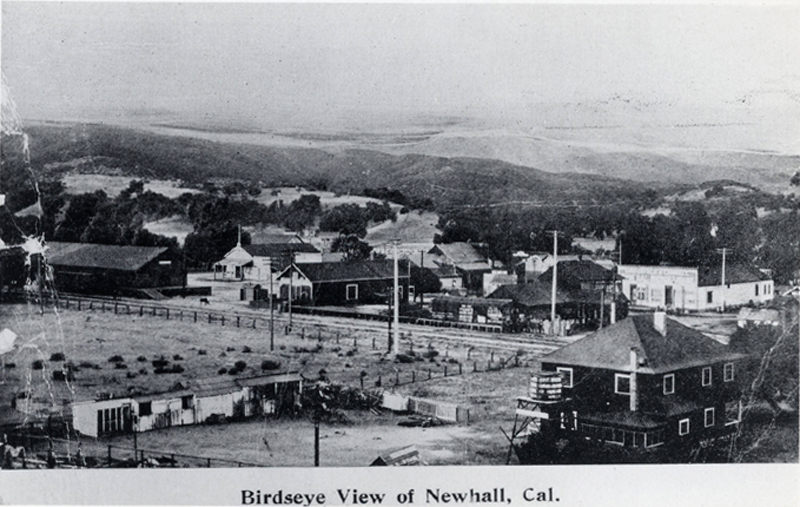 The present business of Newhall is as follows: One large hotel, the southern grain warehouse, oil warehouse, depot, blacksmith shop, three saloons, two livery stables, one restaurant, kept by an enterprising Celestial, to Chinese laundries, one oil refinery, lumber yard and two large general stores. No doctor, lawyer or preacher nearer than thirty miles; one large, handsome schoolhouse and no church.